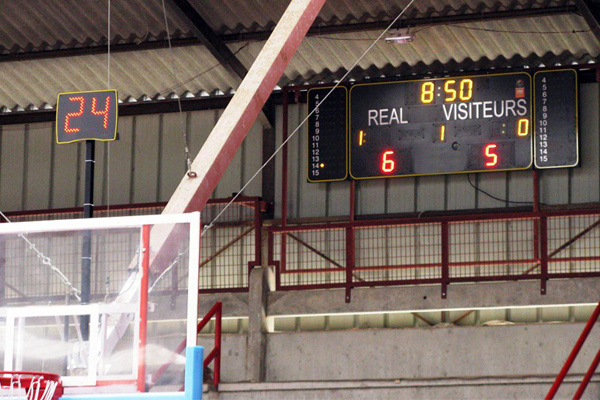 LED Basketball Shot Clock model Ti-6002c. 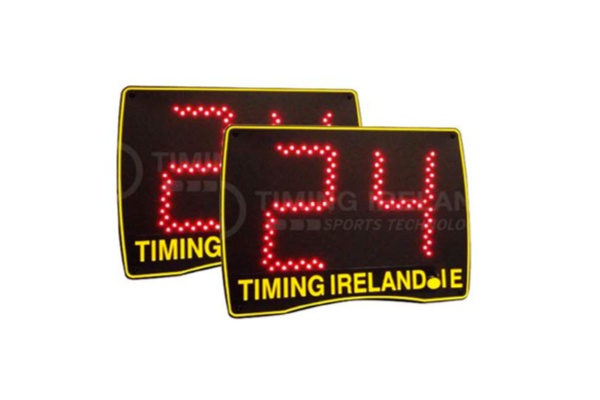 Includes 2 x dual-digit shot clocks with 14 & 24 second countdown settings. 20cm tall red LED digits with built in horn to signal end of count (100db). Shockproof casing. Basketball Shot Clock Ti-6002c includes wireless controller.